Face-to-face interviews may be a thing of the past for thousands of shooters renewing their licences, after three police forces in the Home Counties announced cost-cutting measures. A joint initiative from Bedfordshire and Hertfordshire Police will introduce “a risk assessed process, where enhanced intelligence checks will identify those who should receive a home visit”. Essex Police plans to deal with all gun licence renewals by post. Guidelines from the Association of Chief Police Officers (ACPO) advise forces to make home visits to gun owners every five years. However, Adrian Whiting, ACPO’s lead on firearms licensing, told the Home Affairs Committee in November of concerns that police budget cuts would bring pressure on the firearms licensing process, “particularly regarding home visits on grant and renewal”. 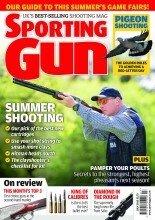 BASC’s senior firearms officer, Mike Eveleigh, cautiously accepted the plans. Hertfordshire Police said a similar approach to licence renewals had already been adopted by a number of other forces across the country, and that only 0.2% of applications were refused in 2008/09.